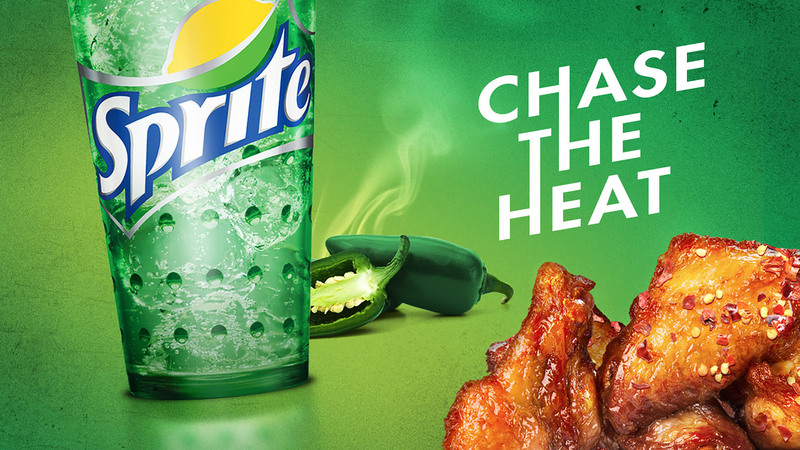 Consumers love a classic flavor combination – sweet and sour, peanut butter and chocolate…Sprite® and spicy foods? 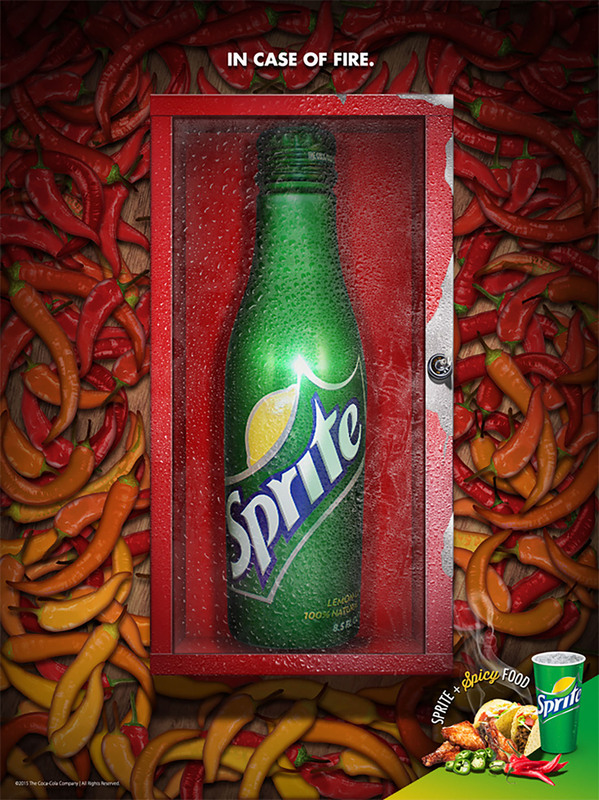 With our red-hot Sprite and Spicy campaign, we helped Coca-Cola® discover that plenty of people were finally ready to feel the burn! 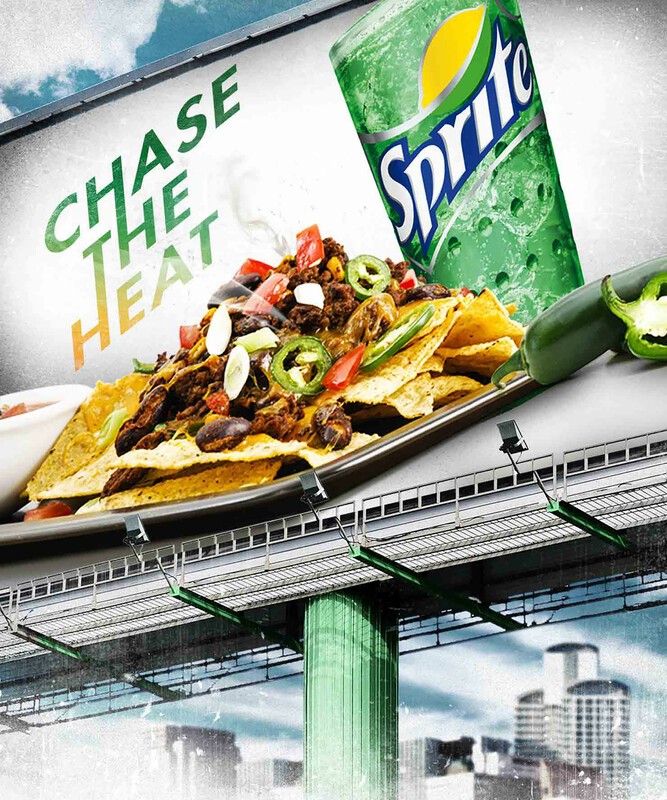 A longtime client for Lighthouse, Coca-Cola® challenged our team to create targeted selling and consumer marketing materials to grow interest in ordering Sprite and spicy foods when eating out. We knew, anecdotally, that pairing a spicy dish with a fizzy beverage was something many people have been doing for years (think buffalo wings and an ice-cold cola). 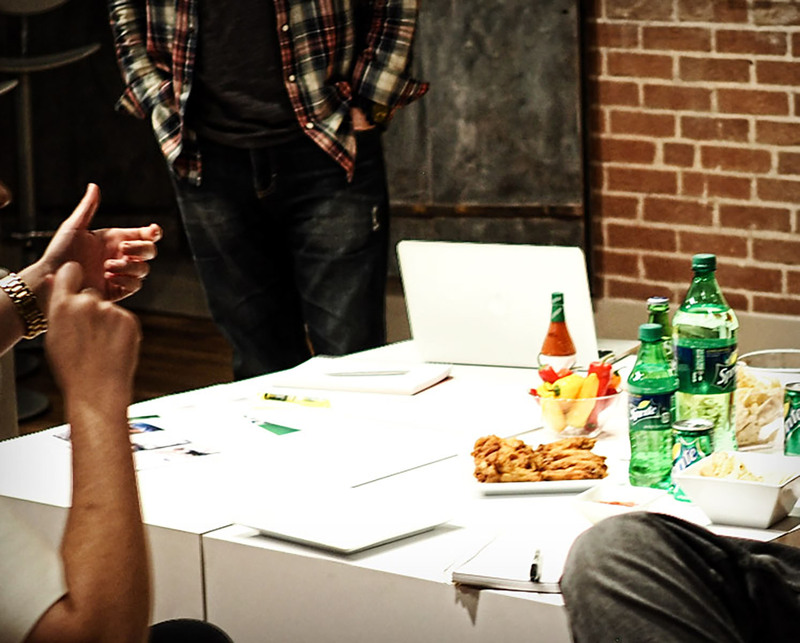 Regardless, we knew that gathering and analyzing market research to help us validate this theory and then develop our “big idea” would be key to our success. 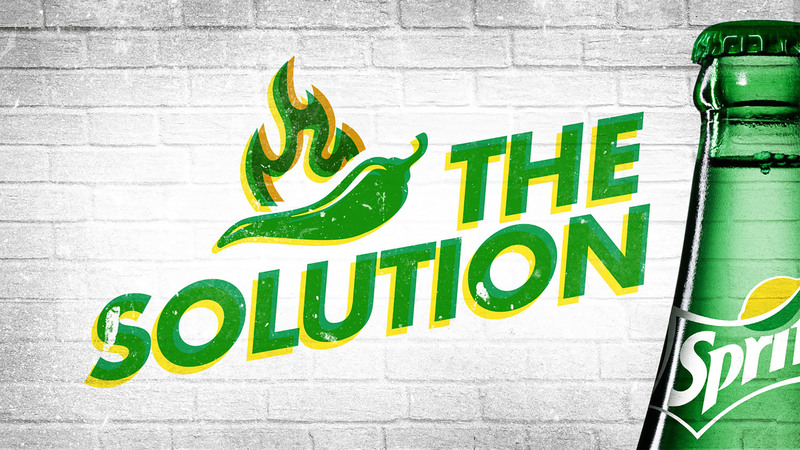 Using preliminary data from Coke® as a starting point, we dove into discovery mode and ultimately identified a solid rationale for why Sprite would indeed pair perfectly with spicy foods. 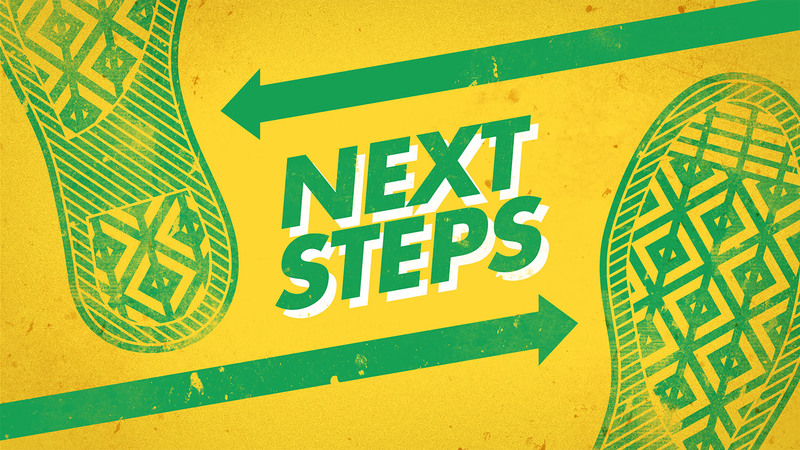 With a rock-solid position in place, we quickly developed an exciting logo lockup and complementary merchandising concepts, social and digital marketing programs, and a promotional strategy to drive the entire effort. 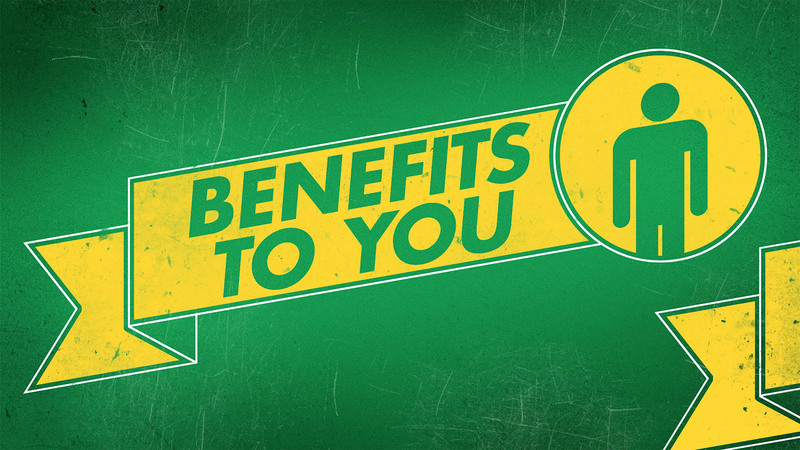 The resulting campaign? Totally hot. 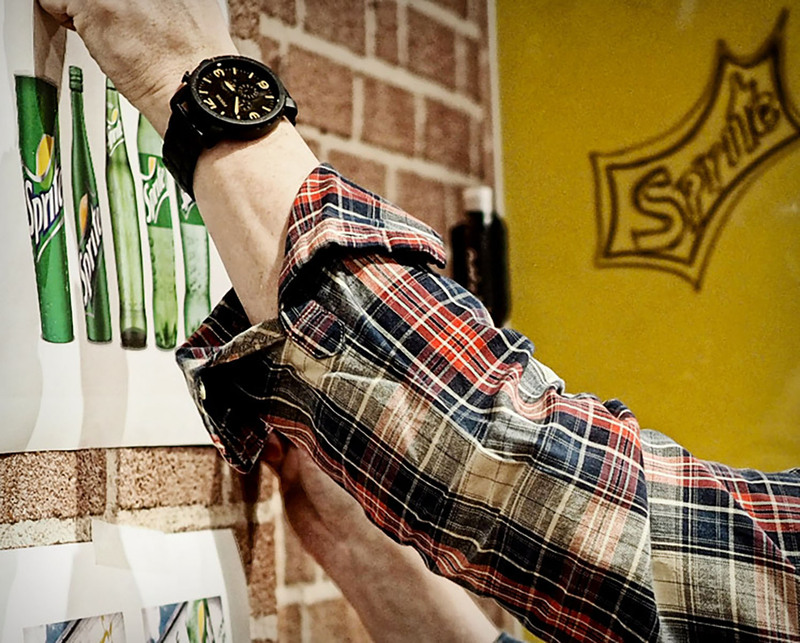 These early concepts allowed the team to explore different scenarios and taglines to see how well Sprite paired with spicy foods. 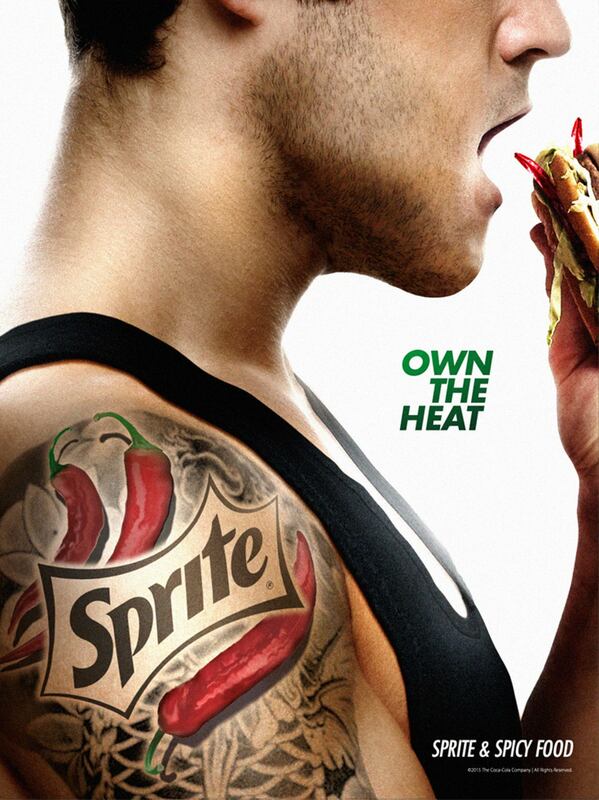 Ideas included the Sprite bottle as a fire extinguisher and how eating spicy foods could be a badge of honor as in the tattoo concept. 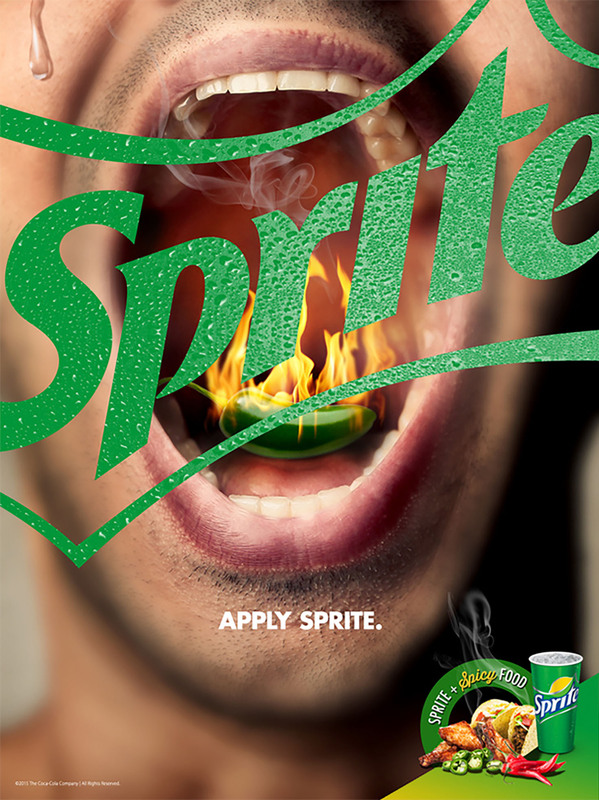 This was also a great exercise in the proper use of the Sprite branding. 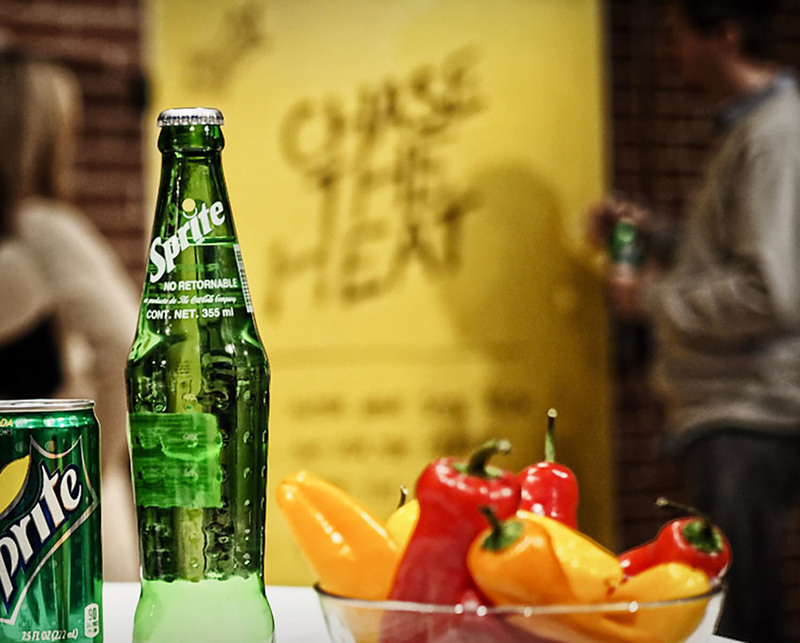 Key to selling in Sprite as the go-to refreshment for spicy meals was extensive research on what food pairings worked best to enhance the flavor profile for the brand. 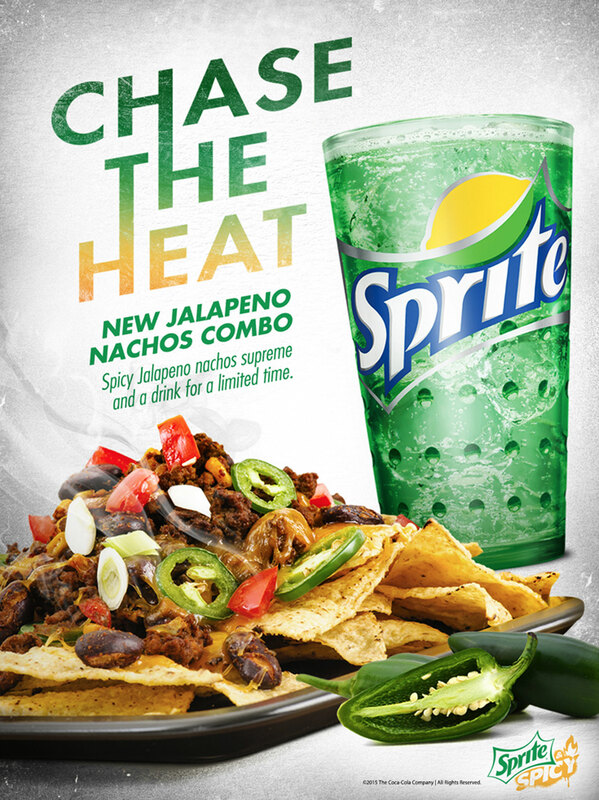 Everything from buffalo wings to nachos with jalapeños was fair game as we engaged experts to help determine which spicy foods would best complement Sprite. 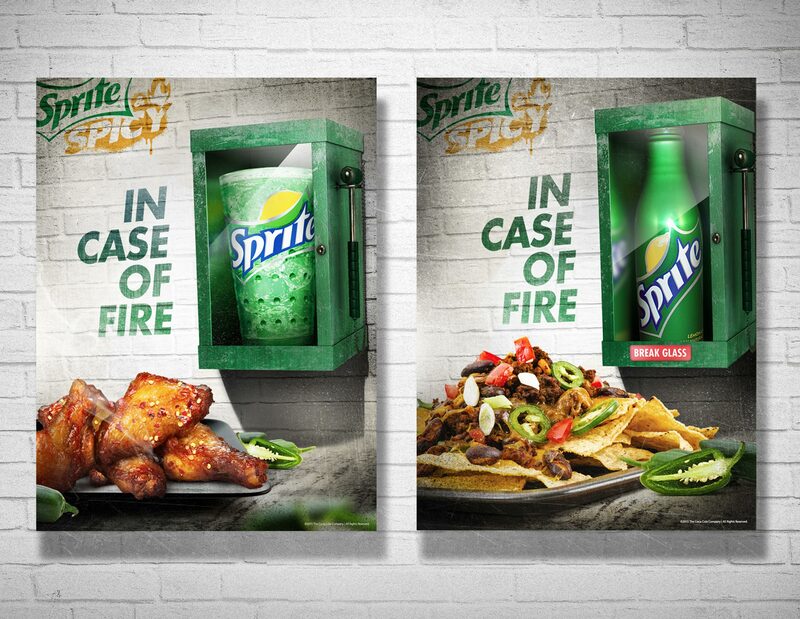 With our “In Case of Fire” concept, we reimagined the traditional fire extinguisher as a glass or bottle of Sprite, helping to position the brand as the only answer to a five-alarm fire – in your mouth! 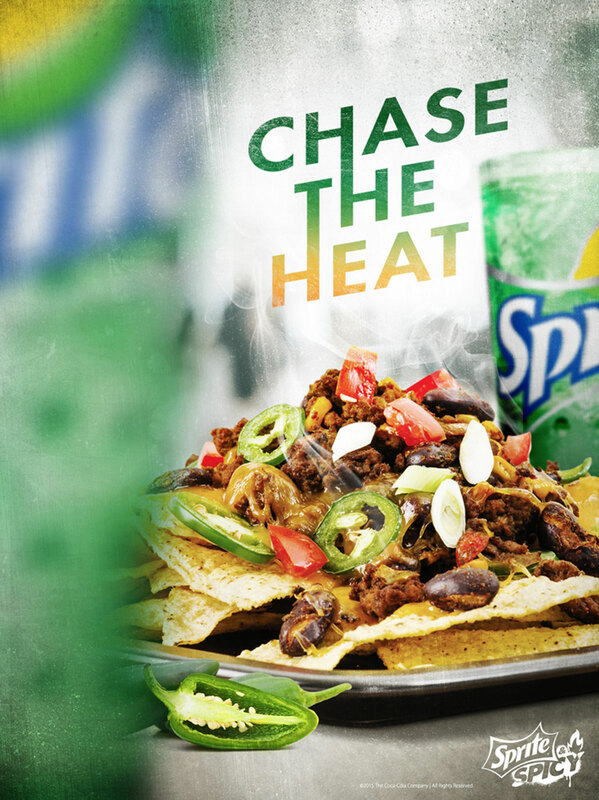 With this concept, we paid service to the spicy food heat seekers chase. 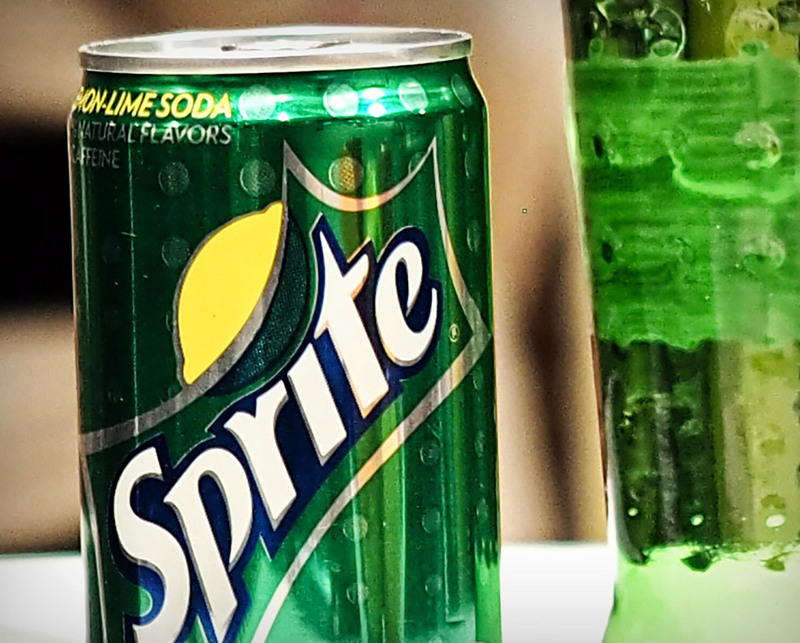 And in return, Sprite uses its combination of the lemon-lime and carbonation to chase the heat away when their adventurous nature takes them beyond the threshold. 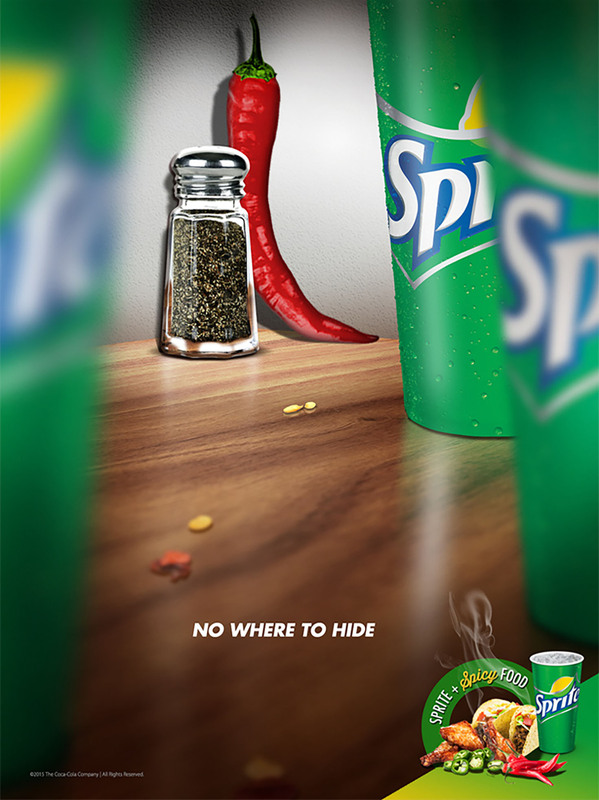 Sales support materials illustrating the unique opportunity were created to help restaurants understand the potential of Sprite and Spicy programs that included merchandising opportunities, social media guides and more.